You can change the lives of people in need! 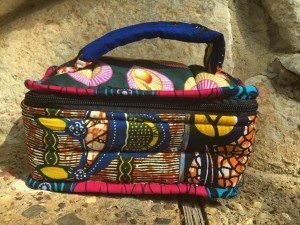 Each purse has a different patchwork style. Dimensions: 18×15 inches. 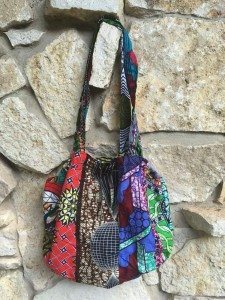 We purchase these purses in Togo from an artisan. We have started to develop a relationship with her. These bags are well made and sturdy and we are in love with them. We think you will love them too! 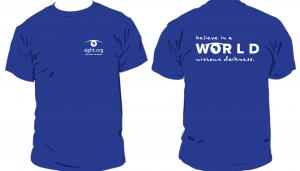 All proceeds go toward giving sight to the blind in Togo. * To purchase, use the donate form on this page and put “Purse” in the comments section. 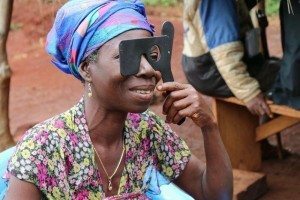 At Sight.org, we “Believe in a world without darkness.” When we bring sight restoring surgeries and the gospel into the villages of Togo, Africa, physical and spiritual darkness are expelled. 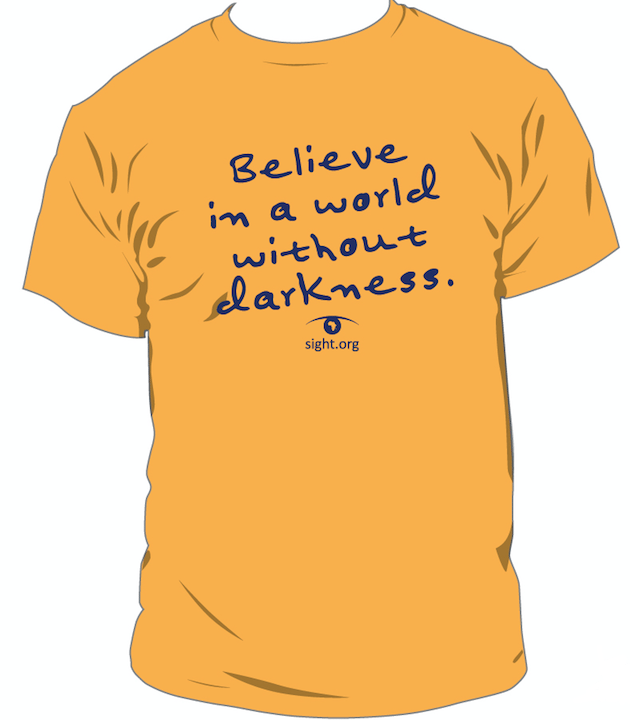 These t-shirts are super soft and comfortable. They come in sizes Small through XXL. With this donation amount, one person receives an eye surgery. 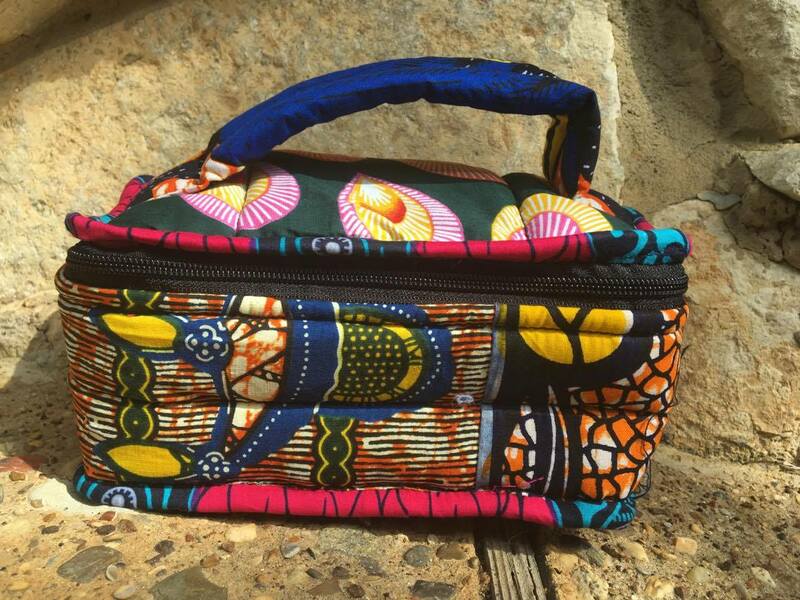 This bag is the perfect size to hold makeup or toiletries. Each bag has a different patchwork style. Dimensions: 8x5x5 inches. 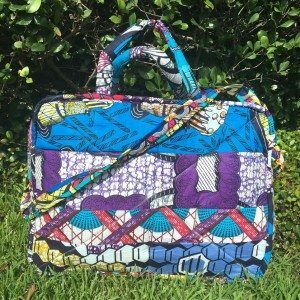 We purchase these bags in Togo from an artisan. We have started to develop a relationship with her. These bags are well made and sturdy and we are in love with them. We think you will love them too! All proceeds go toward giving sight to the blind in Togo. * To purchase, use the donate form on this page and put “Small Bag” in the comments section. You can give audio Bibles to patients and pastors. These audio Bibles are in their language. 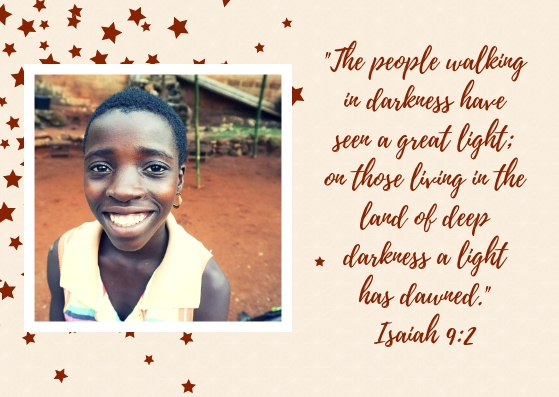 Some of our patients have never heard of Jesus, so this will be the first time hearing the Word of God. 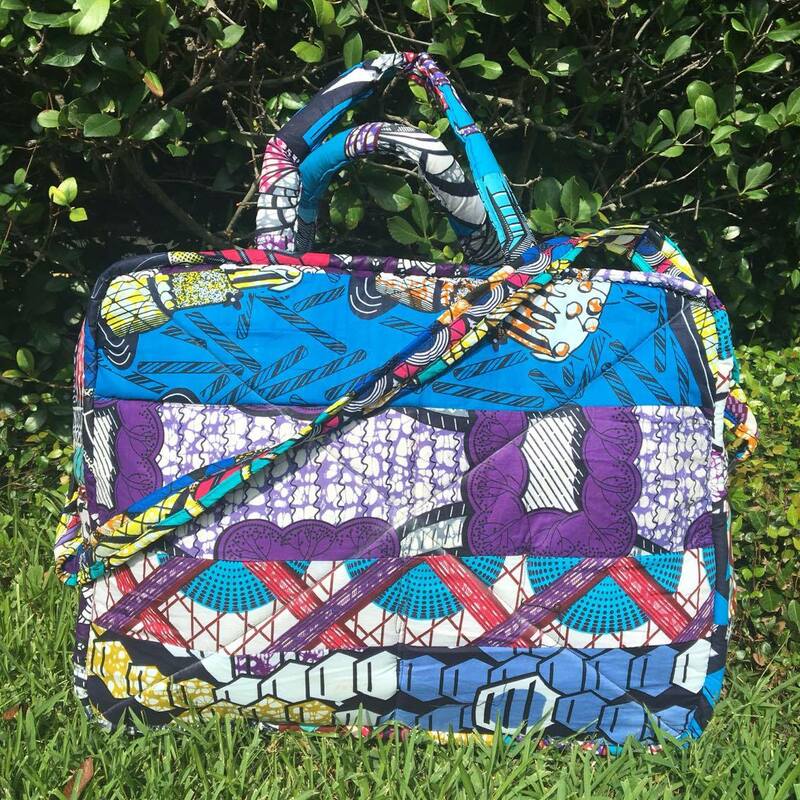 This large bag is the perfect size to use as a carry on or overnight bag. Dimensions: 23×17 inches. Each bag has a different patchwork style. * To purchase, use the donate form on this page and put “Large Bag” in the comments section. 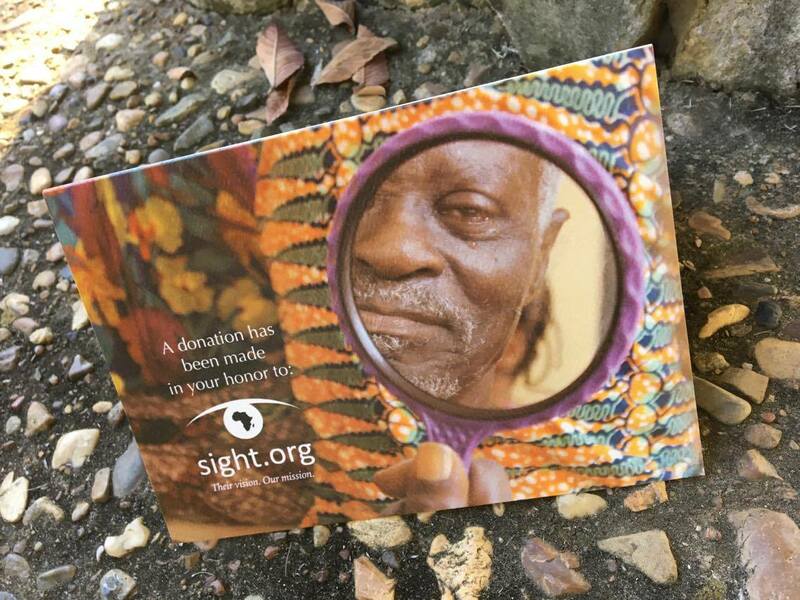 Donate to Sight.org in honor of someone else. Write “In Honor Card” in the comment section of the donate form with the name and address of the person you would like to send it to. 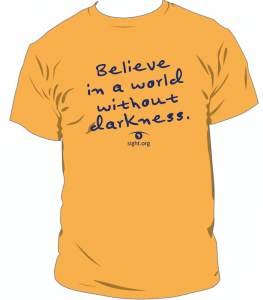 We will send it for you with a note, or we can send it to you to personalize. Send as many as you like! 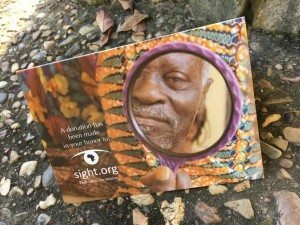 Donate to Sight.org in honor of someone else. Write “Christmas Card” in the comment section of the donate form with the name and address of the person you would like to send it to. We will send it for you with a note, or we can send it to you to personalize. Send as many as you like!